Parallels Access, a native iOS and Android app for remotely accessing your applications and files residing on Windows or Mac PCs, is now available as a web-based software that anyone can use on any computing device with a standard web browser. In addition, the iOS edition of Parallels Access has received a fairly significant version 2.5 update today that brings out many enhancements such as full support for the native display sizes on the iPhone 6 and iPhone 6 Plus, a full-blown file manager, improved audio control settings and much more. 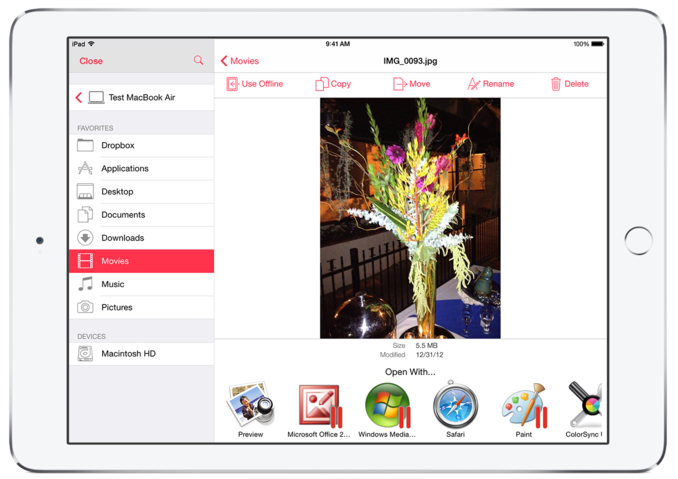 In addition to iOS 8-specific additions like the Document Picker extension allowing you to copy and view files from other apps in Parallels Access and the ability to Share files using iOS 8’s multi-purpose Share sheet, a much-improved file manager makes managing your files a lot easier. You can store pretty much any file type in Parallels Access, search for files on remote computers, as well a view and copy your files and media from storage services like Dropbox and Google Drive, transfer files to remote computers and more. If you need to connect to a remote desktop listed in your Parallels Access account right from your iPad or iPhone, or via a web browser on another computer, the app now lets you do just that. Simply visit parallels.com, log in under “My Account” and choose a listed computer to connect to a remote machine, without having to install anything on the computer you’re using to connect to a remote host. The 41.6-megabyte app requires an iPhone, iPod touch or iPad with iOS 7.0 or later. The app requires the installation of the free Parallels Access Agent on your Mac or Windows PC. Current users get all of the aforementioned features for free. For new users, Parallels Access requires a $20 per year subscription available via the In-App Purchase mechanism. By the way, Macheist is offering a bundle of ten great Mac apps with a yearly Parallels Access subscription include for just $14,99. Download Parallels Access free in the App Store. 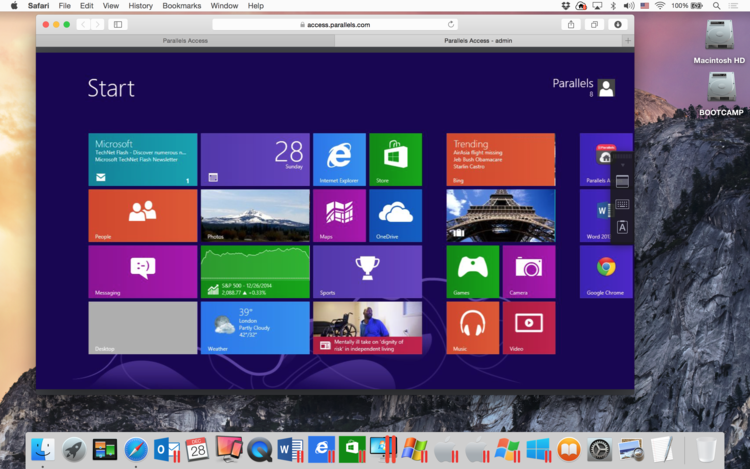 The web edition of Parallels Access is available here.